Keys of the agreement between Deoleo and the Spanish Union of Small Farmers and Ranchers (UPA) to reposition olive oil. Deoleo and the UPA presented their partnership in Jaen. It seeks a new model of production and marketing based on value vs. volume. Both organizations will work together to improve quality and traceability of olive oil. Jaen, November 21. –Deoleo and the Spanish Union of Small Farmers and Ranchers (UPA, for its name in Spanish) presented the outline of an agreement in Jaen, according to which they will work together to find a new olive oil production and marketing model based on a strategy of value to volume that can reposition olive oil as a valuable product. With the slogan Integration and Value, this agreement has two primary spheres of activity: olive oil’s quality and traceability. This partnership is motivated by this market’s own evolution, which displays some weaknesses that could affect its growth. Thus, in the last few years, in markets of higher consumption such as Spain, olive oil has become an undifferentiated product of little value; in fact, the market is 65% dominated by store brands. This pricing model is being duplicated in higher-potential markets, such as the United States, the United Kingdom, Germany and the Netherlands. At the same time, countries that have adopted olive-growing in their farming system take protectionist measures against Mediterranean oil, like the United States and Australia, which can inhibit exports. “Until now, the only way of operating has been to prioritize volume over price,” explains Pierluigi Tosato, managing director of Deoleo, “but this model is no longer sustainable. The current market tendency to prioritize price over value cuts margins and will end up extending to the farmer. Only a strategy based on value guarantees a fair distribution of income among all links of the chain”. “Fighting for price is a lost cause,” Tosato considers, “since 95% of consumers in the world use fats that are five times cheaper than olive oil. So, if we focus on price, there will always be products that cost less”. The data speak for themselves: the Spanish consumer is progressively abandoning olive oil, the pillar of the Mediterranean diet, for sunflower oil, which came into 5.5% of new households last year and already represents 40% of the volume of oil consumed in the nation. The solution seems to be establishing a new model of production and marketing, which is what the agreement between Deoleo and the UPA intends to promote. The search for quality and differentiation must be a priority for the entire value chain. Integration and value must be the backbone of all processes, from the olive-tree to the shelf: exchanging knowledge between producers and marketers, evaluating for best practices, and working in conjunction with universities and scientific bodies, among other activities. In the words of Cristóbal Cano, chief of the UPA olive oil sector and secretary general of UPA Jaen, “for many years our organization has counted on extra virgin olive oil positioning itself as a high- quality product, with positive health effects as confirmed by the Predimed study, and as a base of the Mediterranean Diet, scientifically endorsed as the best for our nutrition. Regrettably, EVOO has become trivialized in recent years, basically due to big-distribution offers, with its abusive policy of selling at a loss. This means the consumer is getting a wrong message, so he doesn’t perceive olive oil as a high-quality, healthy product at a reasonable price”. Cristóbal Cano stresses the need to “take advantage of the fact that the consumer is increasingly concerned to know what lies behind what he buys. We must highlight that sustainable olive farming acts as a brake on desertification, preserves biodiversity, and prevents rural depopulation. These issues, which go beyond the food product itself, must be impressed upon consumers, who should be aware that when they buy olive oil they are improving the physical environment we live in”. “In the last 15 years the message that farmers have grasped and made their own is to tend increasingly toward early harvesting, with which they get the highest-quality oils. 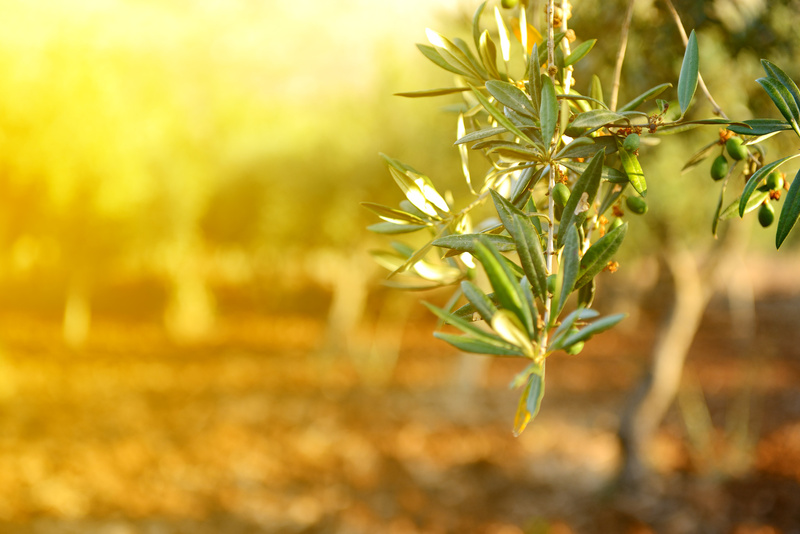 These Jaen oils, which drive the sector, are reaching previously unknown achievements and international markets, such that the agreement signed with Deoleo will help us strengthen our olive growers’ march to excellence”. 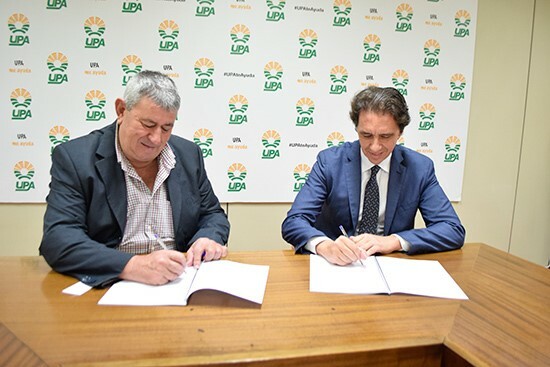 The agreement signed by UPA and Deoleo will have two facets: one of communication, to spread messages that both organizations believe should reach sector actors to make them aware of the need to enhance the category; and secondly, training, with workshops specifically aimed at olive growers in the main zones of production: Andalusia, Extremadura, and Castilla-La Mancha, mostly. Deoleo is a Spanish food multinational, a world leader in olive oil marketing, with presence in over 80 countries on five continents, factories in Spain and Italy and sales offices in 15 countries. Deoleo has leading brands all over the world, like Bertolli, the highest-selling in the United States, Carapelli, and Sasso; and the Spanish brands Carbonell, Hojiblanca and Koipe. The Spanish Union of Small Farmers and Ranchers is the professional organization bringing together, representing, and defending the interests of farming and ranching professionals in Spain. The UPA has over 80,000 members and unites the largest part of the farming sector: family operations owned by small and medium-sized farmers and ranchers.